As a business lawyer, I’ve been representing MLMs and network marketing companies for years. From businesses in neutracuticles, vitamins, drinks, supplements, to clothing, footwear, gum and others, the most important thing you need to know is whether or not you are a ponzi-scheme or a legitimate company. 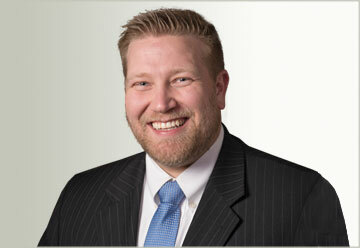 The law has different requirements, and it’s vital you have your comp-plan reviewed by competent counsel. Purchase requirements to earn commission in the business… legal or illegal? For the reasons set forth below, the answer to this question is: it is illegal to have purchase requirements to earn commission in a business. MLM law has developed over the years and the Federal Trade Commission (FTC) has played a large role in the development. The FTC has been charged with the oversight of unfair competition in the flow of commerce. The United States Code contains two (2) sections which are regularly used by the FTC to shut down companies that mandate purchase requirements in order to earn commissions. Section 45(a) is the section that grants the FTC power to regulate this type of activity. See 15 U.S.C. § 45(a). Section 53(b) provides the FTC with the ability to obtain a temporary injunction or a permanent injunction to force the company to stop conducting business. See 15 U.S.C. § 53(b). The FTC has also provided certain definitions to us on what a multi level marketing program is defined as and also what one definition of a prohibited marketing program is. The definitions used herein are from the FTC v. Trek Alliance, Inc. case. A “Multi-Level Marketing Program” means any marketing program in which all of the following elements exist: (1) participants are given the right to sell goods or services; (2) participants are given the right to recruit additional participants into a first-level downline, or to have additional participants placed by the promoter or any other person into the pgram participant’s first-level downlink; (3) the first-level downline participants in turn have the right to recruit additional participants (second-level downlines), or to have additional participants placed into their downlines; and (4) participants may earn compensation based in whole or in part upon the sales or purchases of those in the participant’s second-level downline or beyond. A “Prohibited Marketing Program” means any marketing program or plan in which any participant pays money or valuable consideration to the company in return for which he receives the right to receive rewards, in return for recruiting other participants into the program, which are unrelated to the sale of products or services to persons who are not participants in the marketing program. In order for the participant to earn commissions, they had to purchase one of the programs or plans. Once a participant purchased a plan, then he could sell the plans to others and make a commission. The Court held that “the purchaser is really buying the possibility of deriving money from the sale of the plans by Dare to individuals whom the purchaser has brought to Dare.” Id. at 478. The Court wanted the products to actually be worth something that the participants purchased. The court found that there was a real possibility that the market would become saturated and that the purchaser would then become a “salesman. Ultimately, the Court found that the Dare To Be Great business was the sale of securities under the Securities Acts of 1933 and 1934. The Court of Appeals followed the definition set forth by the United States Supreme Court in SEC v. W.J. Howey Co., 328 U.S. 293 (1945) which states that “[t]he test is whether the scheme involves an investment of money in a common enterprise with profits to come solely from the efforts of others.” Id. at 301. The Court of Appeals discounted the “solely” language and determined that the word was flexible. The Court stated that the Dare to Be Great business was in fact the sale of securities because its source of income was from selling the Plan. A purchaser had to invest his money, his time, and bring people to meetings. In the Court’s view, the purchaser bought the rights to share in the proceeds of his efforts, not in the proceeds from an actual product with value in and of itself. Based on the Court’s holding in the Turner case, it is clear that an MLM company cannot require that a person purchase the product in order to earn a commission. The way to solve this problem is to keep customers and sales reps distinct and different. Sales Reps or “distributors” as they are often called, should be allowed to sell the MLM company’s products and earn a commission and not be required to purchase products themselves. Of course it is possible for the distributors to purchase products from the company, but it should not be mandatory. This way, you steer clear of any problems in the future. We have represented many MLM companies in Utah, including cases before the Administrative Courts in Utah for Consumer Protection Violations. 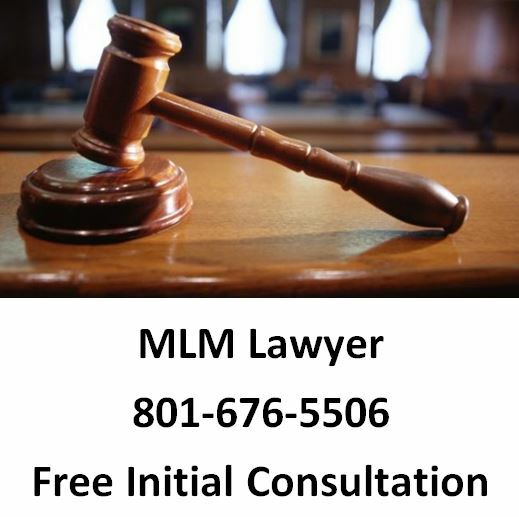 The Utah Business Opportunity laws are not in your favor if you are an MLM company. You should get legal advice from a MLM attorney in our office. As an MLM Attorney, I want to help you with running the company correctly and resolving any lawsuits or problems before they turn into law suits. Call us today for your free initial consultation (801) 676-5506. We look forward to helping you stay out of problems in the MLM industry. What Areas of Business Law Do You Do? Declaration of unlawfulness; power to prohibit unfair practices; inapplicability to foreign trade. (2) The Commission is hereby empowered and directed to prevent persons, partnerships, or corporations, except banks, savings and loan institutions described in section 18(f)(3) [15 USCS § 57a(f)(3)], Federal credit unions described in section 18(f)(4) [15 USCS § 57a(f)(4)], common carriers subject to the Acts to regulate commerce, air carriers and foreign air carriers subject to the Federal Aviation Act of 1958 [49 USCS §§ 40101 et seq. ], and persons, partnerships, or corporations insofar as they are subject to the Packers and Stockyards Act, 1921, as amended [7 USCS §§ 181 et seq. ], except as provided in section 406(b) of said Act [7 USCS § 227(b)], from using unfair methods of competition in or affecting commerce and unfair or deceptive acts or practices in or affecting commerce. (2) that the enjoining thereof pending the issuance of a complaint by the Commission and until such complaint is dismissed by the Commission or set aside by the court on review, or until the order of the Commission made thereon has become final, would be in the interest of the public the Commission by any of its attorneys designated by it for such purpose may bring suit in a district court of the United States to enjoin any such act or practice. Upon a proper showing that, weighing the equities and considering the Commission’s likelihood of ultimate success, such action would be in the public interest, and after notice to the defendant, a temporary restraining order or a preliminary injunction may be granted without bond: Provided, however, That if a complaint is not filed within such period (not exceeding 20 days) as may be specified by the court after issuance of the temporary restraining order or preliminary injunction, the order or injunction shall be dissolved by the court and be of no further force and effect: Provided further, That in proper cases the Commission may seek, and after proper proof, the court may issue, a permanent injunction. Any suit may be brought where such person, partnership, or corporation resides or transacts business, or wherever venue is proper under section 1391 of title 28, United States Code. In addition, the court may, if the court determines that the interests of justice require that any other person, partnership, or corporation should be a party in such suit, cause such other person, partnership, or corporation to be added as a party without regard to whether venue is otherwise proper in the district in which the suit is brought. In any suit under this section, process may be served on any person, partnership, or corporation wherever it may be found.